Containing 25 pouches of the formats DIN A4, DIN A5, 10x15cm and business cards, the Geha Laminating Pouch Set 80 Micron is suitable for many different areas of use. Geha laminating pouches are characterized by high-quality, transparency and basic protection for photos and documents of all kinds. 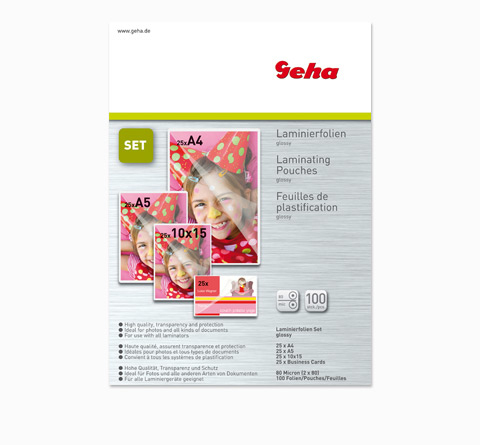 The pouches of the Geha Laminating Pouch Set are suitable for all laminators.